​From Zuckerberg’s apology to ‘Just Harried’ – should you wear a topical T-shirt? 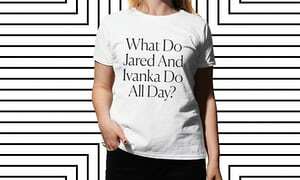 ​From Zuckerberg’s apology to ‘Just Harried’ – should you wear a topical T-shirt?. Subscribe to our newsletter and join our 5 other subscribers! We will never share you email address with anyone else.